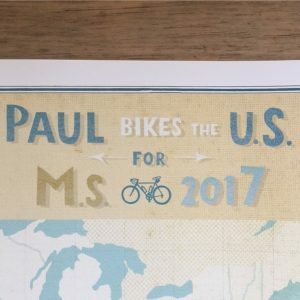 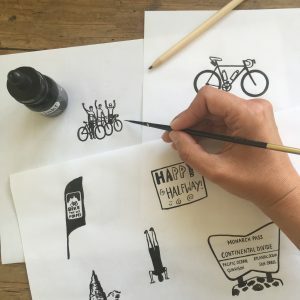 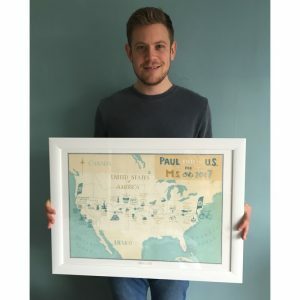 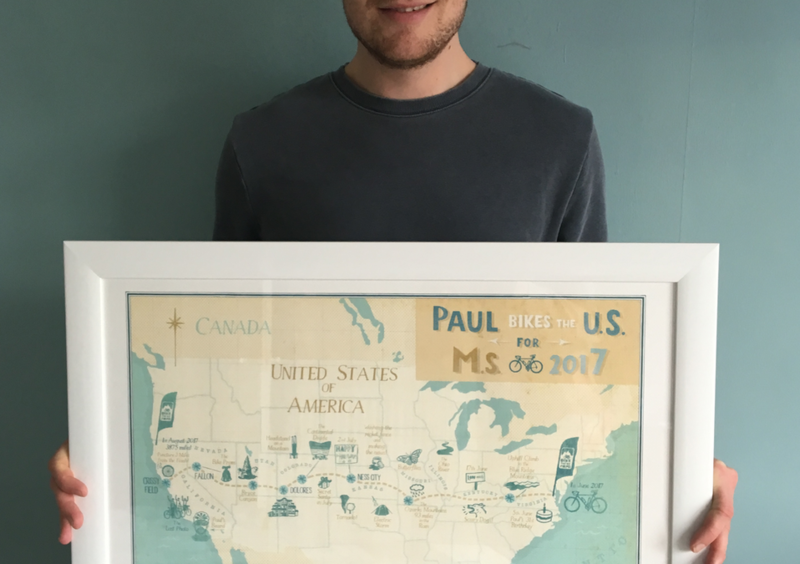 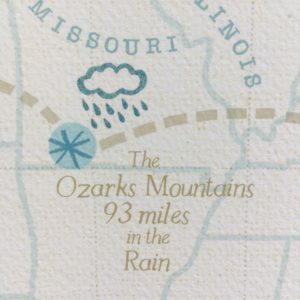 When Paul completed his epic bike ride in aid of a charity close to his heart from the East to West coast of America, little did he realise that his mum Jan was cooking up a plan to commemorate the achievement for him in a Map of Joy! 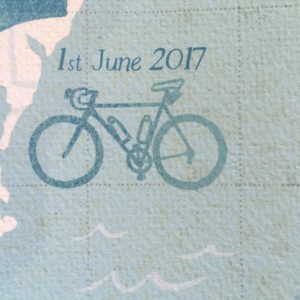 After she’d decided which colourway she wanted me to use (she went for “Coast” ~ rather apt!) 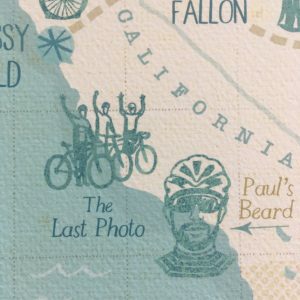 Jan was able to send photographs for me to work from, including a shot of the beard Paul grew along the way, and the jubilant final photo of the whole team at the end of the ride.